Delhi Daredevils 162-5 ( Kieven Pietersen 103*, Yogesh Nagar 23*, Dale Steyn 2-19) beat Deccan Chargers 157-8 (Parthiv Patel 45, Shikhar Dhawan 44, Shahbaz Nadeem 3-16, Morne Morkel 3-23) by 5 wickets. Deccan Chargers scored 157 for the loss of 8 wickets in the 20 overs and Delhi Daredevils thrashed 162 runs in 19.1 overs with five wickets in hand. Kevin Pietersen (Delhi Daredevils) was declared ‘Player of the match’ and utilized a few dropped catches by smashing an unbeaten 103 runs. The 23rd match of the Indian Premier League 2012 was played at Feroz Shah Kotla, Delhi on April 19, 2012. The Stadium was full at its capacity and the charged crowd will remember the spicy innings of Kevin Pietersen for a long time to come. Earlier, Kumar Sangakkara, the captain of Deccan Chargers won the toss and initiated the innings with Shikhar Dhawan. Sangakkara was gone early for just one run as Parthiv Patel joined with Dhawan and the first disclosed his plans by hitting three consecutive fours in the fourth over off Irfan Pathan. The flow of runs took off after that and both batsmen availed all possible scoring chances with the assistance of timely boundaries. The duo added 71 runs for the second wicket in 6.5 overs when Dhawan was declared leg before wicket off Shahbaz Nadeem for 44 from 29 balls with one six and 5 fours. Patel continued with the attack but was finally caught at deep square leg boundary by Mahela Jayawardene on the bowling of Nadeem for 45 off 27 balls with one six and 5 fours. Delhi Daredevils bowlers took over from there and the wickets started tumbling and the only resistance came from the middle order batsman Bharat Chipli. He remained unbeaten for 25 off 17 deliveries with one six and three fours as Deccan Chargers scored 157 runs with two wickets in hand when the last ball of the 20th over was bowled. Morne Morkel and Shahbaz Nadeem were the most successful bowlers with three wickets each whereas Umesh Yadav held one wicket. Delhi Daredevils made a horrible beginning of their innings and lost their three top order batsmen for a mere 23 runs in 4.3 overs. Naman Ojha was gone for just one run, the skipper, Virender Sehwag scored 7 and Mahela Jayawardene skied a ball and was caught at wide mid-off by Kumar Sangakkara off Daniel Christian for 6 runs. Kevin Pietersen and Ross Taylor joined together at the crease and commenced the repair work without taking any chances. Pietersen was the more aggressive of the two and dispatched a couple of sixes and a four in the eighth over bowled by the leg spinner, Amit Mishra. They contributed 42 runs association for the fourth wicket when Taylor was run out for 13 runs and Irfan Pathan replaced him in the centre. The run rate was maintained by both batsmen and Pietersen achieved his fifty on the firs ball of the 13th over by stealing a single. The hard hitting Pietersen became violent after his fifty and punished Jean-Paul Duminy for 20 runs in the 13th over with the help of three smartly timed consecutive sixes. He scured eight runs from the following over off Mishra as Dale Steyn made a breakthrough when Irfan Pathan was caught behind by the wicketkeeper Parthiv Patel for 5 runs. The fifth wicket fell at 114 runs in 14.4 overs and Delhi Daredevils required 43 runs off the last 30 balls to win the match when Yogesh Nagar joined Pietersen at the crease. The latter continued his blistering innings and Nagar also joined the party with some fine shots. 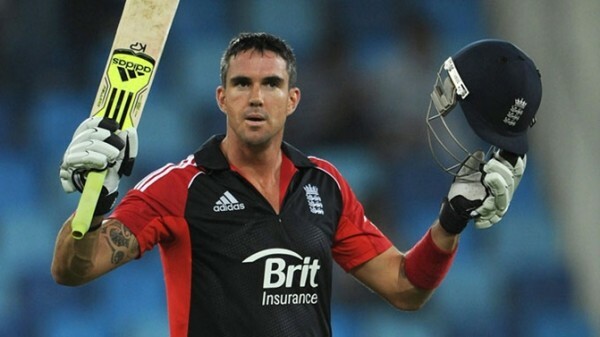 Pietersen dispatched a six on the first ball of the 19th over, completed his thundering century and won the match for his team as the score reached at 162 runs. The master blaster remained unbeaten for 103 off 64 balls with 9 huge sixes and 6 fours as Yogesh Nagar was at the other end with 23 from 15 deliveries with 3 fours. Dale Steyn was the most successful bowler with a couple of wickets as Pratap Singh and Daniel Christian claimed one wicket each. 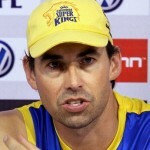 Delhi Daredevils collected two valuable points from the match and are currently at top of the IPL 2012 chart. Delhi Daredevils – 8 from 5 games. Deccan Chargers – 0 from 4 games.